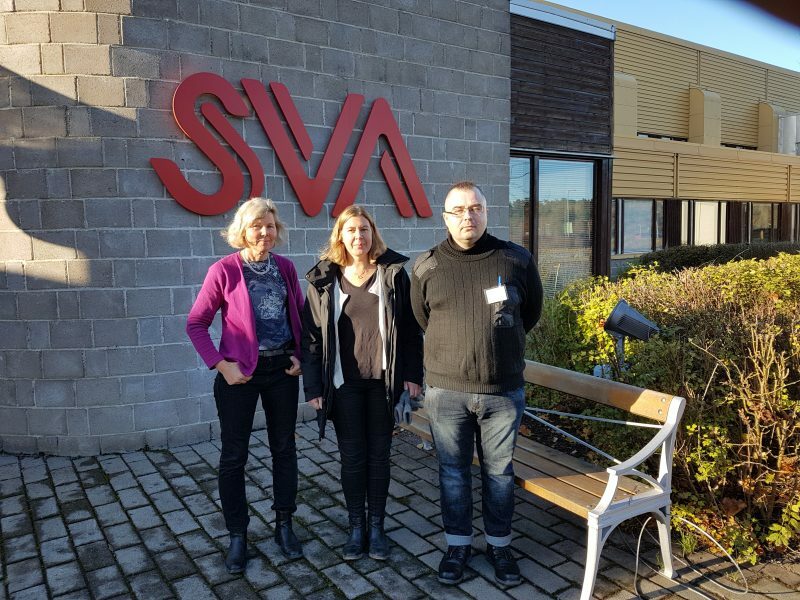 This week Dr. Ilja A. Titov from the All-Russian Scientific Research Institute of Veterinary Virology and Microbiology in Pokrov, Russia, visited the Swedish Veterinary Institute (SVA) as part of a CLINF laboratory exchange. We have the ambition to extend our cooperation with Russia – says Ann Albihn, one of the three CLINF coordinators – and next week Åsa Hagström from SVA will be in Pokrov. The pressure from infectious diseases is different in Russia and in Sweden. Our laboratories have different experiences, methods and equipment. We expect this exchange to generate valuable knowledge and contacts for both sides. During their brief visits Ilja and Åsa focus on routine analytical methods used to detect potentially climate sensitive infectious diseases (CSIs) of animals. See the full list of potential CSIs. Ilja together with Ann Albihn (left) and Anna Omazic (middle).